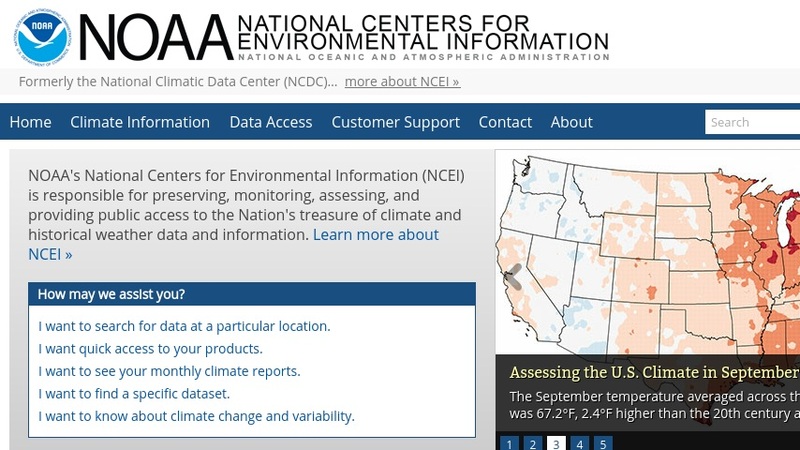 This archive of climatic data houses both national and global datasets as part of the National Climatic Data Center's (NCDC) mission to describe the climate of the United States and to maintain records regarding trends and anomalies of weather and climate. Users may search the archive by data type, national or global coverage, and time period; or by resource type, such as satellite, radar, models, paleoclimate, and others. Imagery and tools for graphing data are included in the archive.